Commentaire signé Matt Bacon pour "Metal Injection". HELL OBELISCO was born in the second half of 2015, with the intention of forming a well-defined musical entity, characterized by a heavy/sludge sound but, at the same time, by definite rhythmic dynamics. The evolution of HELL OBELISCO was mainly determined by the cohesion of the band and a refinement of sound and arrangements, made possible also by the addition of Fraz to the choirs. The band’s style is the result of twenty-five years of activity in very different musical experiences, but it is mainly influenced by a cinematographic inspiration and by directors like John Carpenter and David Cronenberg, as well as the very first Steven Spielberg (Jaws) and Ridley Scott (Alien). The release of Swamp Wizard Rises represents for HELL OBELISCO the achievement of a great goal in terms of creativity and receptivity from the widest possible audience. 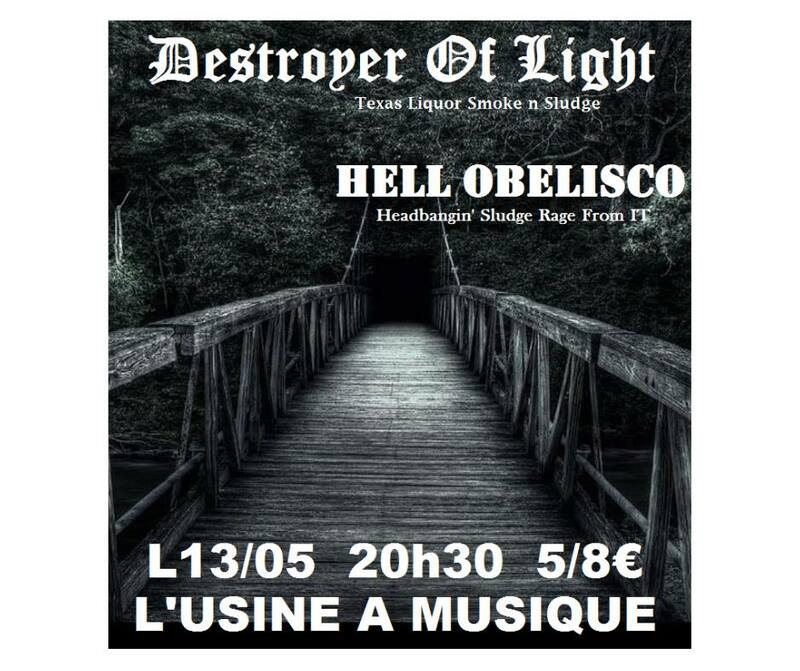 The intention of the band is promoting their hard work playing live in Italy and abroad, as this is the ambience from which the disruptive energy and the entertainment skills of HELL OBELISCO emerge in the most genuine way.